I love learning languages. I love that spark of understanding when I get my point across in a new language. I love how my brain settles into unfamiliar patterns as I discover how to say something in a language different from my own. I even love the silly mistakes early on, when I’m brave enough to speak and someone else is not afraid to correct me. I’ve puzzled at the contradiction of how I can love learning a language, yet it still requires great discipline. With Mightyverse, we wanted to capture that simple joy of mastery and make it easier to get to those good feelings more often. We set out to design a mobile, social experience that would make it so we actually want to practice vocabulary, since it feels like playing a game, rather than feeling like homework. Our first paper prototype was in Japanese. After some gamification research, we designed our mobile software game, then before building it or creating a detailed visual design, we set out to create a “paper prototype.” This is a common software design practice where we actually construct the experience with drawings on paper and get people to look at and interact with a series of sketches, making it easy to get quick feedback on layout, wording, and a sequence of interactions. For our game, which relies heavily on the crowdsourced video phrases in Mightyverse, we realized we could substitute a native or fluent speaker of the language to create a real-world experience that mimics an online experience of interacting with our global language community. We decided that we would not write a line of code until we could create a situation with our game where a group of people in real life had fun learning and speaking their learning language. We didn’t just want to add sparkles and unicorns to make it entertaining, we wanted to tap into the aspects of social learning that we believe will make the mobile game intrinsically fun. Through several design iterations, we actually created two separate card games. The second one was much easier to play test since it required only one speaker of the learning language. 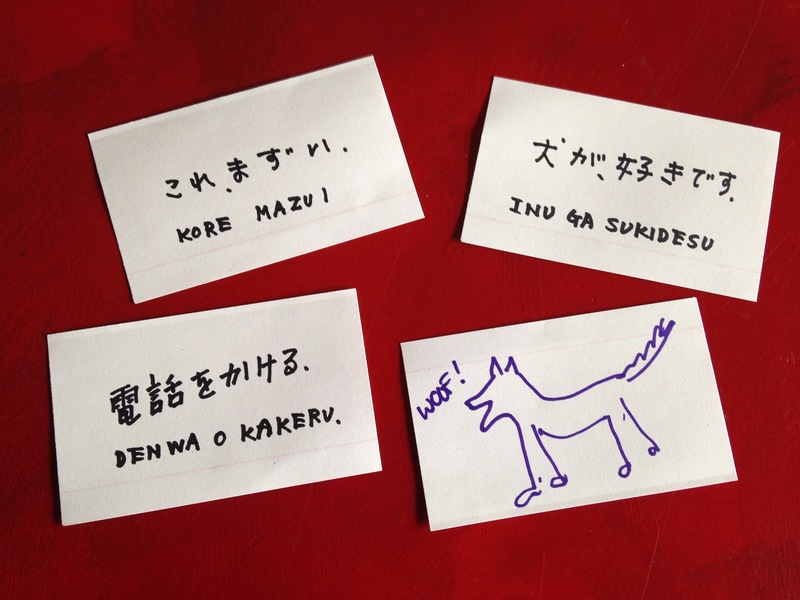 We created the card game in three languages (Spanish, English and Japanese) with hand-written phrases and printouts pasted on index cards. We then went to the fabulous SFBabel Meetup, and asked random groups of strangers to play our game. It was exciting to see people having fun playing the game and we learned so much from their responses. But once we started playing, it was fun. It was amazing to see the transition from bored skepticism to laughter and playful banter in Spanish! We played for hours, with longer and longer stretches where everyone only spoke Spanish. After many more sessions of playing the game, iterating on the rules and the cards, we have a system that really works. People have fun speaking Spanish, whether they start with little confidence and very few words or many years of Spanish classes. We’ve designed a crowdfunding campaign as a way to reach language learners who can pre-purchase and play the card game. The next step will be to combine the approaches and make the game playable when there is no fluent speaker present using a mobile app, integrating our crowdsourced video phrases. If you’d like to review the deck, write us! We look forward to hearing from you. This entry was posted in iPhone app, Learning, News, Uncategorized and tagged ¡Digame! on May 26, 2014 by sarah. As we set out to design the next phase of Mightyverse development, we want to add elements of gameplay. We believe that, for many people, learning to speak a language is intrinsically fun; however even for those people, it can also require tremendous discipline, which is not fun. We asked ourselves… could we make a game that applies what we know from our research on effective language learning as well as what we hear from Mightyverse users to make it so all aspects of language learning are fun? To get our whole team up to speed on the latest gamification ideas and best practices, we watched a series of videos. For other software developers, our future team members, and our visitors who are just curious about what we’re up to, I’m posting the links and some notes. Think design process not features. Know your users: you are not your target audience. Create a paper prototype of the rule system: play test, and iterate. Provide a story with meaning, a rule system they can master, a free space they can play in. I enjoyed the talk. For me it was a great review of game design principals (which are mostly applicable to design in general), and neat to think about the analogy of board game design to software design. Also, it provides a great framework for thinking about how to prototype a software game as a physical game. One key point that I hadn’t ever heard expressed so well was about the importance of having a clear mental model. – Iterate, but have a clear goal. Shut up and sit in the corner and watch. See if people who play your game are having fun and playing the way you expect, and are able to learn the rules easily. Give them enough for their brain to lock on to it, and then add complexity over time. This entry was posted in Uncategorized on March 22, 2014 by sarah. It is intuitively true that a social element is essential for language learning. 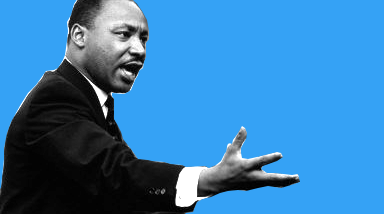 The purpose of language is communication, which is an inherently social experience. However, as we design learning experiences, it is helpful to reflect on broader research which illuminates the ways in which learning may be accelerated. The reason that social is so important for the edtech market is less about viral growth and network effects on a first order basis and much more about the simple fact that as humans, we’re wired to learn socially. We evolved that spectacularly complex piece of neuroanatomy called the neocortex to cooperate with each other and increase our propensity for survival, and it’s exquisitely sensitive to social phenomena. At the most basic level, social cues and social emphasis patterns drive the deployment of encoding energy in our brains…social software designs drive learning productivity, pure and simple. This context provides an effective learning environment, within which the novice may construct an individual learning path. Lave and Wegner argue that teaching is not central to learning, but that we learn when we actively participate in a community. The learning path from novice to master is accelerated by social engagement, where observation is an important element, as well as the generative process of active learning. This entry was posted in Uncategorized on January 4, 2014 by sarah. I’ve been interviewing Mandarin Chinese learners (and learning a lot about Mandarin) since it is our most popular language on Mightyverse. While I learned a few phrases of Cantonese many years ago from friends, I had never spoken Mandarin before last week. I spent a couple of hours with my friend Antun who has been learning Mandarin for the last year and a half. I enjoyed his stories of how he approached independent language learning and was drawn in by his enthusiasm. When he offered to lend me his introductory Pimsleur CDs, I was skeptical that I could learn this challenging tonal language without some heroic act of will. However, out of three people I have interviewed who tried the Pimsleur method, all three have said it was very effective, so I thought I would try it out. This entry was posted in Uncategorized on September 2, 2012 by sarah. I was pleased to find a well-worn path to integrate with our Rails web app and was able to use the google-spreadsheet-ruby gem to write the import code. Last week, the new import workflow allowed us to fix a large number of errors with the Italian recordings and their English translations. Paul and Iku copied 9 spreadsheets that included 1503 phrases to Google docs and, as expected, were able to easily review and edit the text using the fabulously efficient browser-based editing features implemented by the Google team. While I could implement such a web app, I wouldn’t have devoted the engineering time to build such powerful editing features for a simple import form. However, the fact that collaborative editing was so easy, dramatically reduced the effort required. An unexpected consequence of using the powerful Google spreadsheet UI for the fairly mundane import task is that we automatically had additional automated editing features for free. The first example of this was when we discovered that a lot of the Italian phrases had been entered in all caps, and Paul asked if we could automatically make them lower-case on import or if they should edit them by hand. Then, inspiration hit! “Let me show you,” I said, “and demonstrated as a created a new column and typed “=LOWER(” then selected the column with the upper case text. As if by magic, the lower case text appeared. Then, I dramatically selected the cell with the new formula and dragged the corner all the way to the bottom to repeat the action for every row in the spreadsheet. I could have written the code to lower-case on import and deployed it in 20 minutes, but with Google docs, I could teach my “non-technical” co-founder how to do it himself in less than a minute. Even better, I then taught him how to figure out his next request with very little help from me, and he is well on his way to addressing these kinds of issues in the future without any special-case software development in our web app. This entry was posted in Uncategorized on July 18, 2012 by sarah. I’ve often said that creating the software for Mightyverse is the smallest part of our challenge. We are seeking to express the diversity of language to help people to communicate what they want to say. More important than the software, are the people who will help us make this happen. This website is certainly useful for many people. Personally, I used it to translate some phrases from English to Bulgarian. But since my mother tongue is French, I have checked all the 529 phrases translated from English to French. I am sorry to inform you that I have found many wrong translations and, above all, countless (more than a hundred) spelling mistakes. In particular, numerous accents and hyphens are missing. As you certainly know, the absence of accents or hyphens is, in French writing, a major mistake. If it could of some use for you, I can send you, by e-mail, the list of the 529 phrases with all needed corrections. I decided to prioritize building the part of our web application which would let Christo, plus other staff and volunteers, do bulk editing of the phrase text in Mightyverse. Meanwhile, I asked: what led him to find Mightyverse and what was useful about it? I found Mightyverse when searching on the net the translation in Bulgarian of the French phrase “Plus on est de fous, plus on rit”, the equivalent in French of the English “The more, the merrier”. Mightyverse gave me the right translation which is : ” “Колкото повече хора, толкова по-весело.”. – I have Bulgarian origins (as my name let it guess) but being born in France where I always lived, I have a rather passive knowledge of the Bulgarian language. – I have got several French-Bulgarian dictionaries but none of them gave me the answer. The advantage of Mightyverse is to offer the translation and pronunciation of many phrases useful in everyday life and which are not easily found in ordinary dictionaries. A drawback is the absence of search tool avoiding to have to go through all the phrases to find whether the one you are interested in is in the list or not. And I was very curious… who was this person who would volunteer to help strangers on the Internet with our wild and crazy mission? I was a student of the “Ecole Polytechnique” in Paris and then I was a civil engineer and a civil servant (in French : Ingénieur des Ponts et Chaussées). I retired at the end of 2007. I have a deep interest in languages : French and various foreign languages. At school, I learned English (7 years), Spanish (5 years) and German (2 years) and, more recently, at the Paris University, Bulgarian (2 years). Moreover, I have tried to acquire basic knowledge in numerous other languages, for instance : Italian, Greek, Turkish, Japanese, Russian, Portuguese and others. I used to live in Paris but since my retirement, I live at Entrecasteaux, a small village of Provence, in the South of France. I was unable to understand some colloquial phrases so I have not change the existing translation. – “Cat’s got your tongue”( I think the right translation could be “Vous donnez votre langue au chat” but I am not quite sure of it). In French, “Tu as perdu ta langue ?” literally means “Have you lost your tongue?” which you could, of course, also say in English. “Is it a cavity?” refers to a hole in your tooth from tooth decay that a dentist would drill and fill with whatever they put in teeth. “Est-ce une carie?” in French. vertraute Raum, der die Gestalt dir steigert. Here is the complete poem in English. Along the way, we added a new editing interface to create alternate, better translations of a phrase, and just this weekend, Christo verified all 764 phrases in French! We applaud his heroic accomplishment. We’re still working out some of the details of the editing software, but we’ll be looking for volunteers who can help us check spelling, grammar and correct transcriptions for other languages too. If you are reading this, are interested in the project and want to help, please leave a comment and we would be delighted to have you join us! It would be particularly exciting to connect with a Bulgarian speaker who could help Christo become more fluent in the language of his origins. This entry was posted in Uncategorized on June 11, 2012 by sarah.